You can sell your car or truck in Auckland, New Zealand for top cash when choosing Auckland Car Buyer. Auckland Car Buyer is the buyer that will make the process of selling your car fast and easy. We take care of all the legal paperwork, so you can expect to get a quick, no-hassle car sale that is legitimate. Contact us for a quote for your unwanted car. You may have called other car removal companies to hear that you need to have your car with current WOF to get it sold. You won’t hear that from Auckland Car Buyer. We are professional auto buyers, and we can buy your car or truck with the mere documentation that you are the rightful, i.e., the legal owner of the car. We buy cars with a secure appraisal system. You get in touch with us over the phone or online, and we will make quote our cash price for your unwanted, unregistered car or truck from the details of the car that you provide. With us, you have a car buyer that pays cash for unregistered cars and trucks. When selling a car that has no market value, or is in scrap condition, just as cars that are near perfect, you can rely on a car buyer with Auckland Car Buyer. We are your car buyer in New Zealand that pays top cash for cars of any make and condition. When we buy cars, we only require that you provide us with a complete description of the vehicle over the phone or online, so we can make an accurate offer. We don’t need that you go to the costs of repairing the vehicle for sale to get us to purchase it. We are your “As Is” car buyer in Auckland. At Auckland Car Buyer, you have both, a car buyer & removal company in one place. We come to you to buy and remove your unwanted car, registered or not. We also come to you with the cash and paperwork in our hands for a legal sale. When we buy cars and trucks, our courtesy services include free car removals Auckland. When a convenient car sale that leaves you with a fair cash payment for your unwanted car is on the agenda, contact us. We do not have a complicated process to sell cars. In fact, we are about the easiest, if not THE easiest way to sell cars in New Zealand. We are a cash for cars, car removal company that offers many courtesy services like removals, wreckers, and recyclers. With our knowledge of the auto industry, we can buy any make and condition of car or truck. Auckland Car Buyer is the place where you will find professional and courteous team members that are highly trained and experienced with the work they perform. Their job is to provide a stellar car selling experience, and we try to achieve this with each car we purchase. 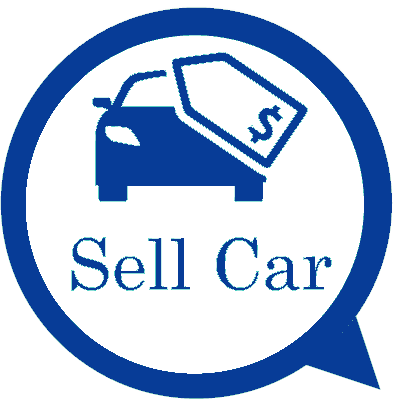 With Auckland Car Buyer, there is no reason not to get a quote for your car in just 3 step you can sell your car! To obtain a cash quote for your unregistered car or truck, give us a call at the number below. You can also choose to fill out our "Get a Quote" form to request for a quote. There’s no obligation to accept our cash quote, so see for yourselves what we will offer for your cars and trucks.